You are here: Home / Blog / Movember Charity Knitting in Oxford! Movember Charity Knitting in Oxford! As part of Oxford Students’ Union Gender Equality Fair, Knit for Peace were invited down to get the world’s brightest knitting. 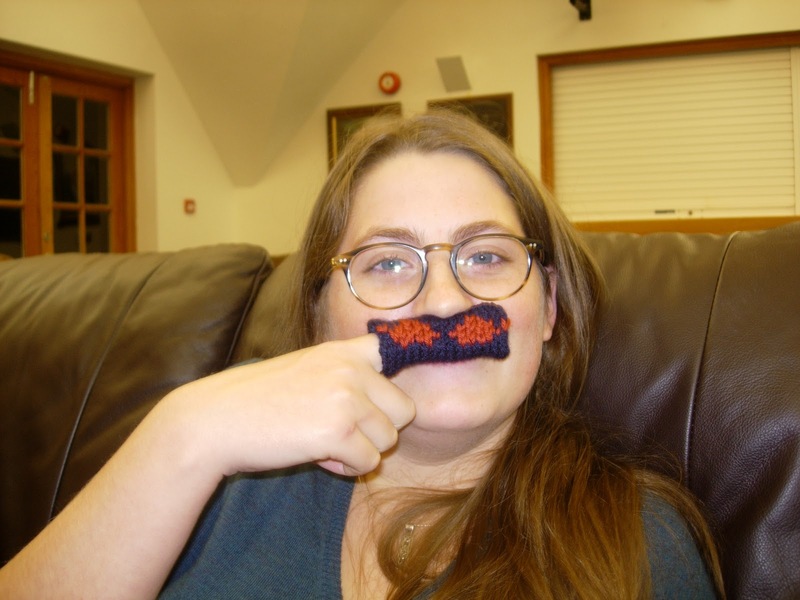 As well as teaching some of the students to knit their first squares, one of the more advanced participants also managed to knit a moustache in aid of Movember!